taste* Dorchester is our restaurant based in Dorchester, this is where we started from and the business grew we decided to branch out - which lead to the opening of taste* Chesil. taste* Restaurant, Dorchester, Dorset - For a contemporary cafe with a lively buzz from breakfast to afternoon teas, we are an independant restaurant that puts quality and service first. We are not connected in any way to the similarly named restaurants in Bridport or West Bay. Eating out in Dorchester, Dorset - Inside Taste The extensive menu demands that taste* buys the finest produce from local suppliers. The restaurant serves everything from the essential breakfast, leisurely brunch or business lunch or just an overdue get together. The menu uses seasonal produce and always boasts an exciting specials board. The kitchen, now supervised by award-winning chef Todd Moffat will cater for all your specific needs. taste* also delivers buffet lunches to several companies in the surrounding Dorchester area. Try the pudding night, Music night or one of the other themed evenings. taste* is available for private hire, and the staff are happy to discuss your individual needs. 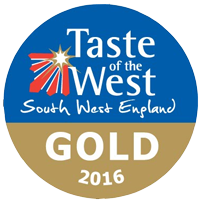 Want to find out more about taste* Dorchester? Follow this link.